Whatever stage of life you happen to be in, there is a good chance that one of your dreams is to spend as much time as possible relaxing on a beautiful beach. You might hope to retire along a secluded shoreline, vacation each year in a house right on the water or have the chance to visit a destination full of vibrant culture as often as possible. While some people mistakenly believe that these dreams are beyond their budget, that is definitely not the case. Property on Ambergris Caye can be affordable, allowing you to enjoy a tropical paradise without blowing your budget. The biggest surprise for many beach lovers is that Ambergris Caye real estate is far less expensive than in similar beach resort areas around the world. Whether you want a small condo that you can escape to every few months or you are planning to retire overseas and invest in a full-time residence, Ambergris Caye has an option that will appeal to you. Many real estate options are within walking distance of the beach, and it will be cheaper than you might expect. Another factor to keep in mind when contemplating the purchase of Ambergris Caye property is the surprisingly low cost of living on the island. Everything from attractions to utility bills to dining out in restaurants is reasonably priced, which can save you money over the long term. Even better, services like health insurance and medical treatment are substantially lower than in the United States. Before investing in real estate, it is important to look at the past and future of property in any given location. While prices are currently low on Ambergris Caye, there are drastic rises in tourism and foreign investment that may drive prices up in the future. This could mean the potential for profit among savvy investors who make the move to purchase real estate sooner rather than later. A final thing to keep in mind when buying property is whether it has the potential to bring in any income. Because Ambergris Caye is a popular spot for travelers, renting out your vacation home, condo or house won't be a difficult prospect. When you need the space, it can be available to you, but whenever it is not needed, it can be bringing you a regular income. This makes the investment a lot more affordable for anyone! Before you write off the idea of a piece of property on the beach in a tropical location, look into real estate opportunities on Ambergris Caye. 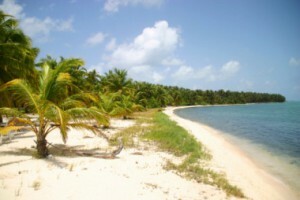 Click here to learn more about the affordability of investing in property on this beautiful island in Belize.